Los Angeles – GO HERE. DO THIS. EAT THAT. 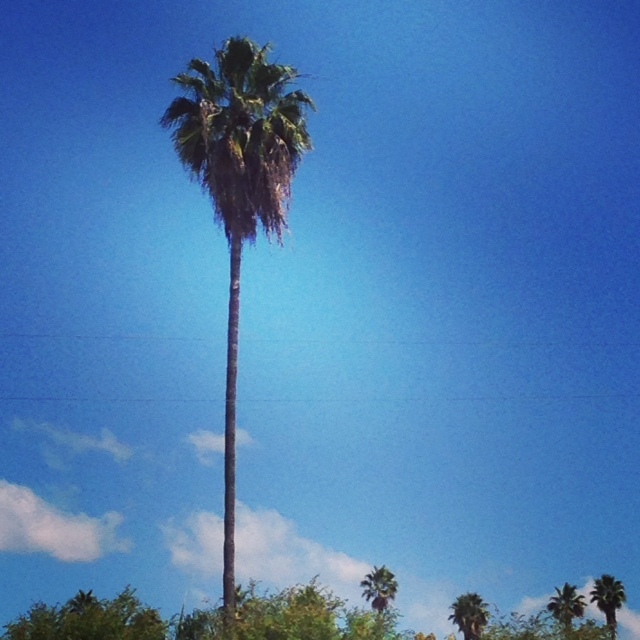 So here’s the thing about LA. After a long, and especially miserable winter in New York, you fly out to LA and you really really really want to love it. You’ve been imagining yourself giving up this life in the cold, hard city for palm trees and sunshine and hills and beaches. But then you land in LA. And then you pick up your rental car in LA. And then you drive the 10 miles to your hotel in LA. AND IT TAKES YOU TWO HOURS. TWO HOURS OF BUMPER TO BUMPER TRAFFIC. You told your good-for-nothing-GPS to avoid all highways because this is not your first time at this rodeo, and it keeps redirecting you to the god-damn-405. You know the 405 is your own personal hell, but your GPS insists. You’ve made it 6 of those 10 miles avoiding that highway but your GPS tricks you into hopping on for the last 4 miles. You think, “how bad can it be, it’s only 4 miles!” And you’d be wrong. So very very wrong. Ninety minutes later you emerge from that soul crushing apocalypse only to find that the Starbucks that you were so desperately seeking is there…on the wrong side of the highway…and there’s no parking lot. Or parking anywhere that seems even remotely logical. You wax-poetic (to yourself) about the advantages of traveling by foot in your beloved Manhattan (completely blocking out the traumatic winter you’ve just come through). You rage to a room full of imaginary people in your head about the misery of trying to get anywhere in any kind of hurry (or non-hurry) in this city-of-broken-dreams. And that is how you think of this city that draws all these hopeful dreamers only to crush their souls while they sit in endless hours of traffic going absolutely no where. But the weather is really great. And they have In-n-Out Burger. So, I mean, you kind of have to go. At least once. Because food. Would you recognize Kato Kaelin if he walked into a bar? Well, I certainly didn’t. 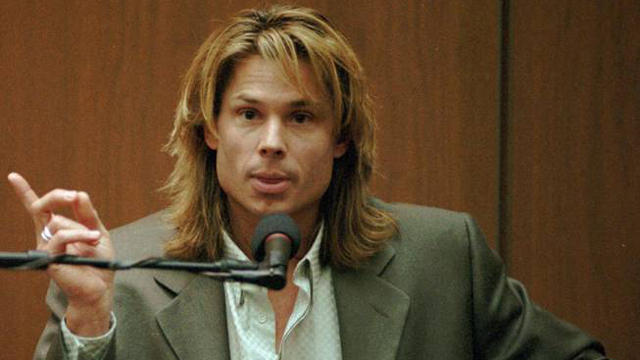 The last I had seen of Kato Kaelin he was helping OJ Simpson get away with murder and had terrible foofy 90’s hair. But let’s rewind just a bit. My coworker and I were out in LA working an event which ended around 10pm, so we headed back to our hotel hoping to grab a quick dinner at the bar. We were staying at the Beverly Wilshire Four Seasons Hotel, otherwise known as, “the Pretty Woman” hotel. The Beverly Wilshire is leaps and bounds above most of the cheesy trendy hotels in LA because it’s true lux and not some weird modern faux-lux that falls apart after a few years. (I’m talking to you W Hotel In Hollywood.) And if you’re a city person, the Bev Wilshire is located in pretty much the only place in LA that is conducive to walking. However, the hotel is “conducive” to some other things as well. It is a not-so-well-kept secret that on any given night you can walk into the very fine, very expensive hotel bar and find several attractive single ladies drinking alone. Who happen to charge by the hour. We were sipping our wine and indulging in our delicious cheese plate and in walks Kato Kaelin and a very tall, very drunk older man and they immediately zero in us. Drunk Bob then teeters away, distracted by the scantily clad woman sitting at a table in the corner of the room and starts to chat her up/drool on her chest. Meanwhile, Kato is trying to chat us up, but my friend and I just could not take him seriously. I tried to be nice, I really did. But then he leaned over me and said, “Oh, what kind of cheese is this?” and started eating from our cheese plate! I mean, I know times are rough, but, come on. This is when I realized what Kato does for a living. Kato (probably) entertains rich men from out of town and ends the night at the Beverly Wilshire hotel bar to pick up some very expensive late night entertainment. I also realized he thought that my friend and I might be a part of that “late night entertainment”. Kato got the hint and slowly (and rather gracefully) made his way over to his very tall, very drunk friend Bob and found himself a woman who was more than happy to take Bob’s money. So do go to LA, definitely stay at the gorgeous Beverly Wilshire, and absolutely positively go hang out at the bar when the dinner rush has subsided…you will not regret it.